The story begins with the conversion of Yun and the healing of his dying father of cancer in 1974. 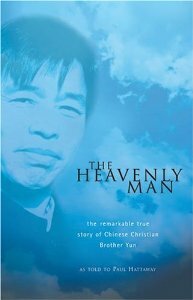 In the process Yun, age 16 at the time, dedicates his life to Jesus and through a series of miracles is prepared, trained, and sent out as an evangelist to establish new churches and support the very few Christian groups that were still meeting in secret at the time. Today it is said by many including the government that there are at least 100 million Christians in the country. If the communist authorities are admitting that number than there are probably far more than that. In fact it is growing so fast that it is impossible to come up with an accurate number. What happened? The House Church Movement happened. The story of brother Yun gives you a small taste of how that must have happened. How the Christian church relegated to the dust bin of history meeting secretly in homes rose up out of the dust and became the force it is today. It was entirely a move of God. Christians are looking forward to the Second Coming of Jesus Christ. Unfortunately the scriptures tells us that a world leader is going to come on the scene first and establish One World Government, economy, and religion. The scriptures indicate that he will be a pseudo messiah and will be supported by some kind of false prophet. Muslims are also looking forward to the coming of their own Messiah referred to as The Mahdi. Along with the Mahdi they believe that Jesus- called Isa will return as his prophet and support him in establishing Muslim rule over the entire world and economy, and the establishment of Islam as the only legal world religion. Joel Richardson compares these two end time views and shows how closely compatible they truly are. It is his conclusion that the Muslim Mahdi could end up being one and the same historical figure that Christians refer to as Antichrist and the Muslim Jesus –Isa could end up being the figure known as the False Prophet foretold in the Christian scriptures. It is a valuable book whether or not you accept his conclusions or not. Richardson goes into detail quoting the Quran and other authoritative Muslim writings concerning their view of the end times. I found it helpful in understanding what is happening on the world scene today with the rise of radical Islam as a threat to Western civilization and the entire world. 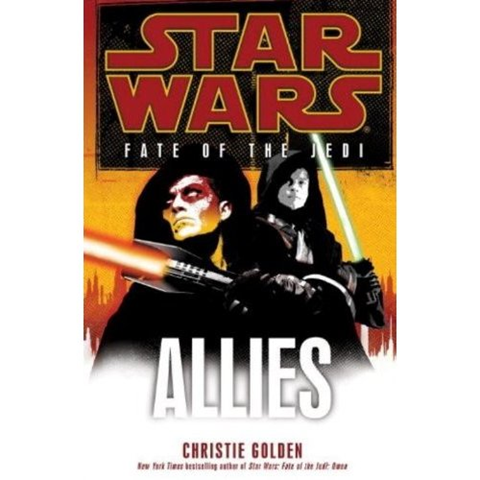 The latest offering in the ‘Fate of the Jedi’ series. Grand Master Luke Skywalker is still banished and he and his son Ben continue their quest to discover what has been causing young Jedi to flip out and become crazy. They have discovered a whole planet and culture full of Sith. Ironically they forge an alliance with the Sith in order to address a far more powerful enemy that neither will be able to eliminate alone. As could be expected there is plenty of intrigue when you add 97 or so capitol ships full of Sith to the mix. The Sith are guaranteed to battle among themselves for supremacy, battle Luke and Ben and everyone else wherever they go. 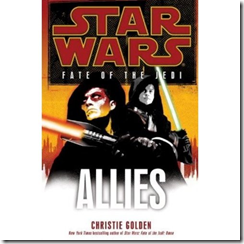 At the end of the book the alliance is over and there is a new threat rising in the galaxy that could threaten the Galactic Alliance itself. 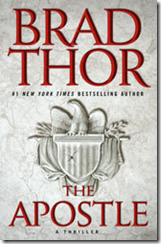 Brad Thor’s latest ‘Scot Harvath’ action adventure. This time it takes place in Afghanistan. It begins with the kidnapping of a American Doctor on a relief mission by the Taliban. They are demanding the release of one of their major terrorist leaders who had recently been captured in return for the doctor. It is an official American policy not to negotiate with terrorists. However her mother is an influential media mogul who is close to the President and blackmails him into taking action anyway. 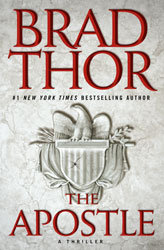 Scot Harvath is sent over to Afghanistan on an ‘unofficial’ mission by the newly elected President (who ironically had just let him go because he was against Harvath’s type of covert operations) to take care of the mess privately. The plan is for Scot to raid the Afghan military prison, take the Taliban leader by force and trade him for the American doctor. As usual in a Scot Harvath story nothing goes as it was planned but it turns out for the best anyway. This book is not only a good read but also gives the reader an opportunity to get to know the situation in Afghanistan a whole lot better. The place is out of control but there are regular folks living in villages trying to look out for there own people the best they can in the face of the Taliban onslaught and the counter attacks by the allied American forces. There is an Afghan cultural bias against foreigners which is balanced out by an Afghan tradition offering hospitality and protection. No one likes the Taliban but at least they are Muslims and many are native Afghanis. Add to that the fact that everyone is armed with automatic weapons and nobody really likes Americans all that much and you get a glimpse of the backdrop to this story and what Harvath has to deal with. 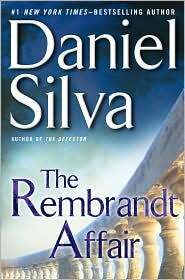 Meanwhile back in America there is a continuing subplot surrounding a Secret Service agent that over heard the doctor’s mother blackmailing the President and this launches an undercover investigation that ultimately could end up bringing down the new President.